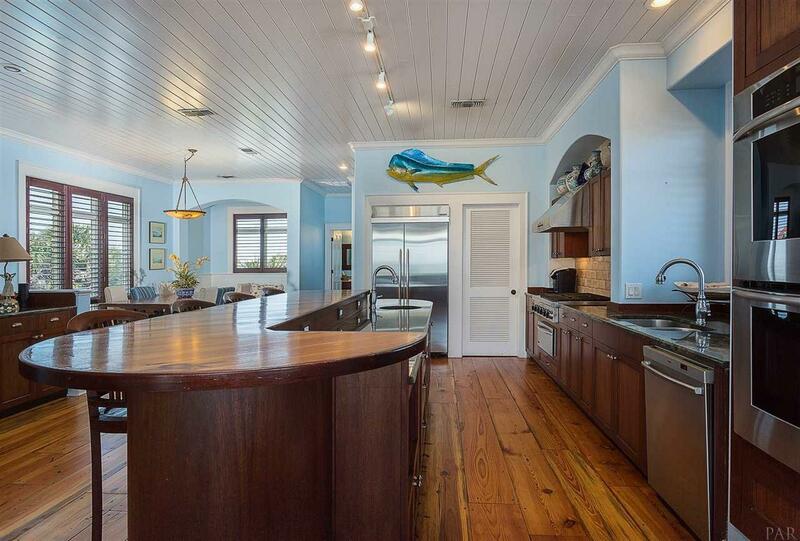 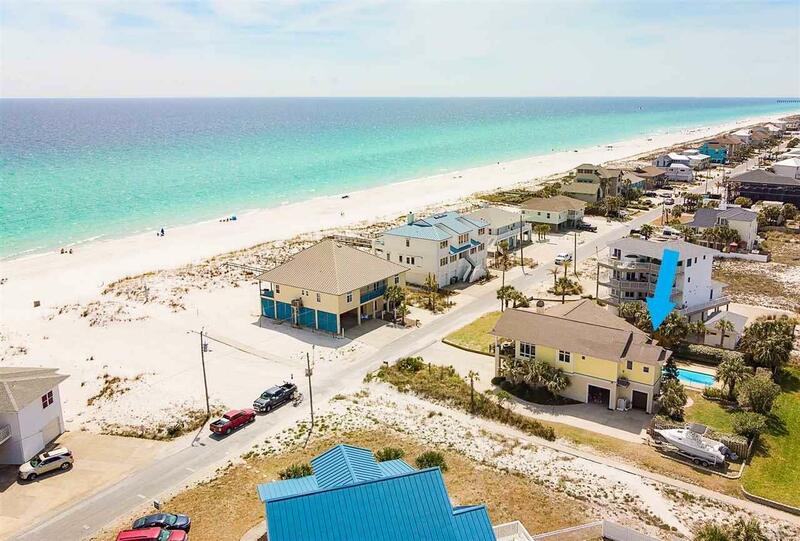 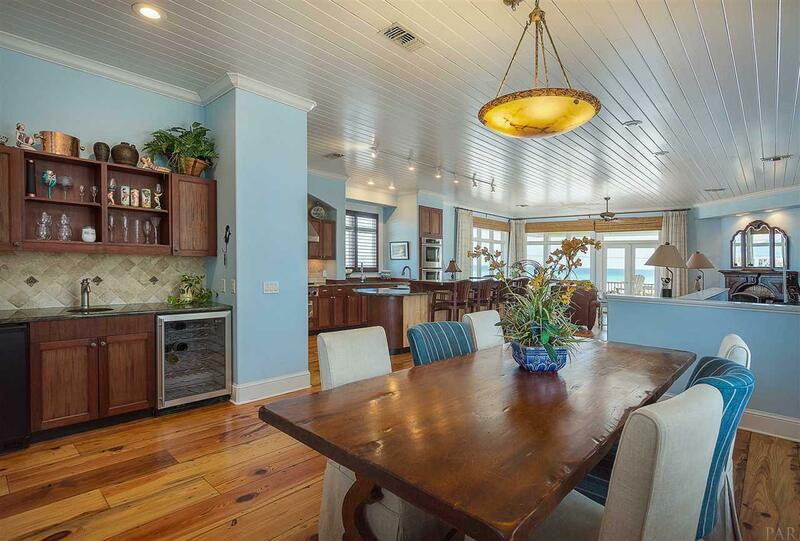 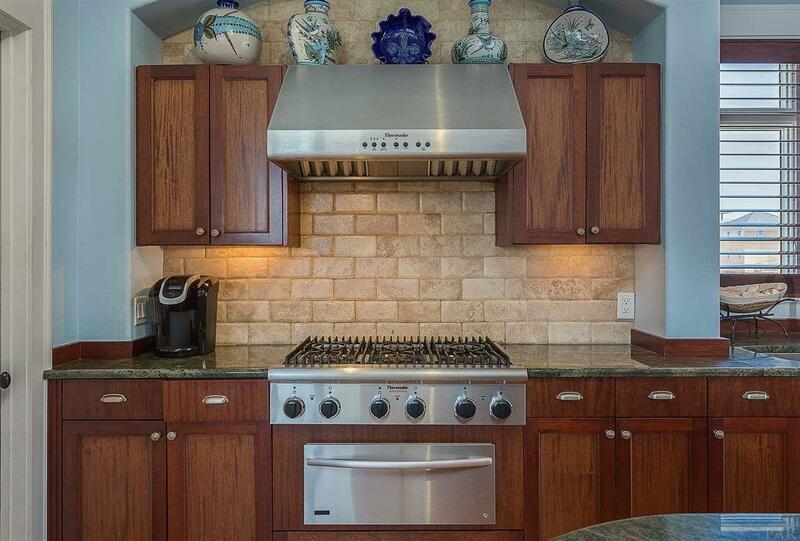 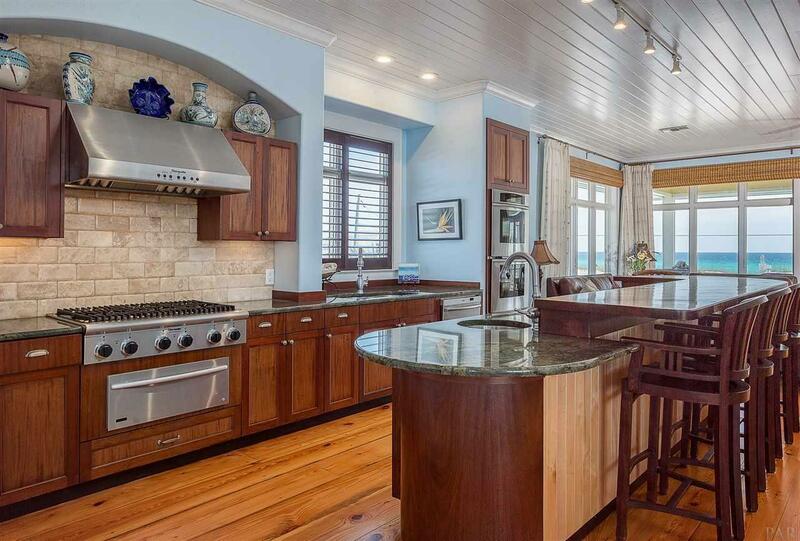 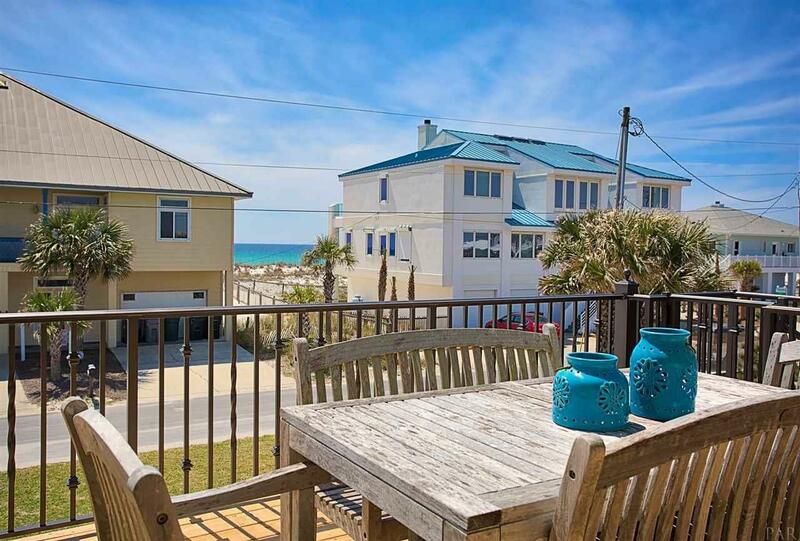 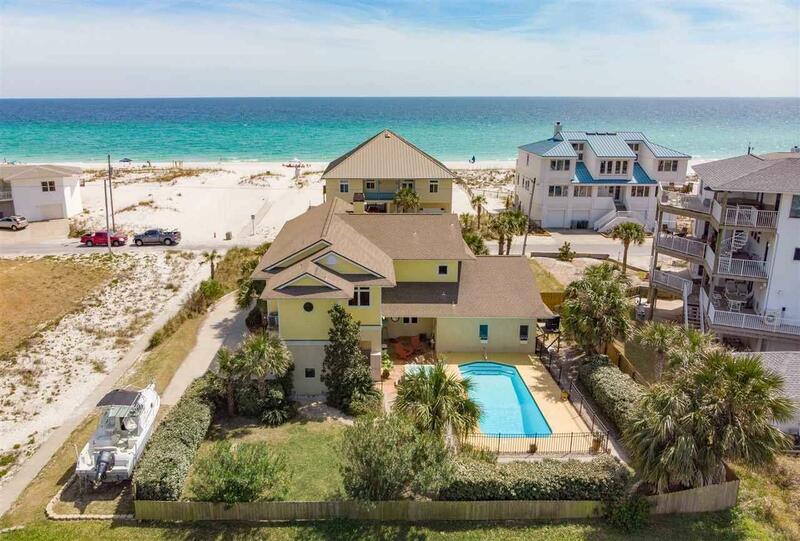 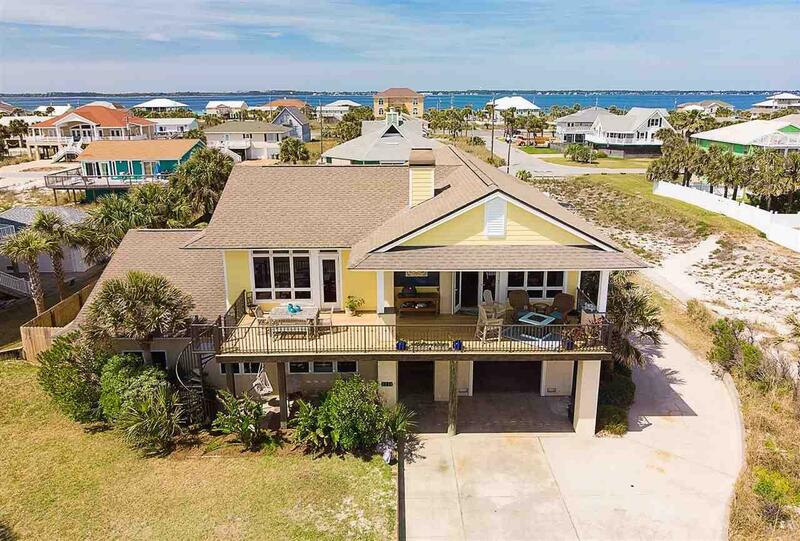 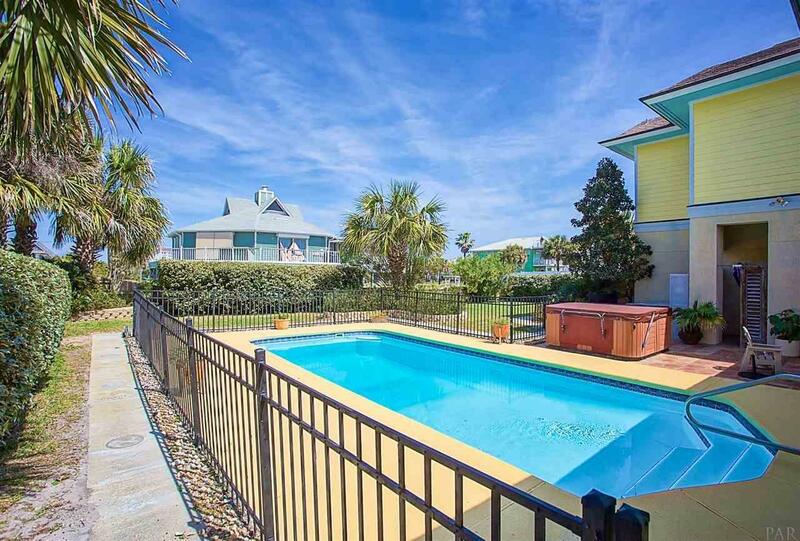 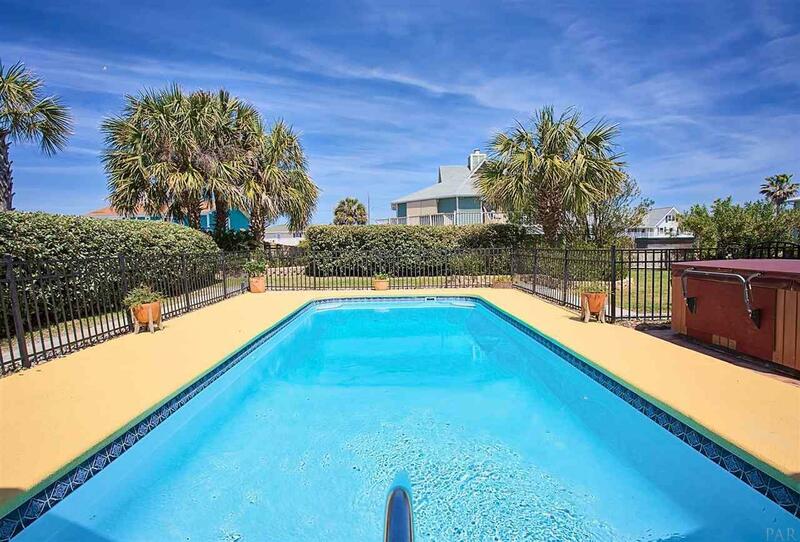 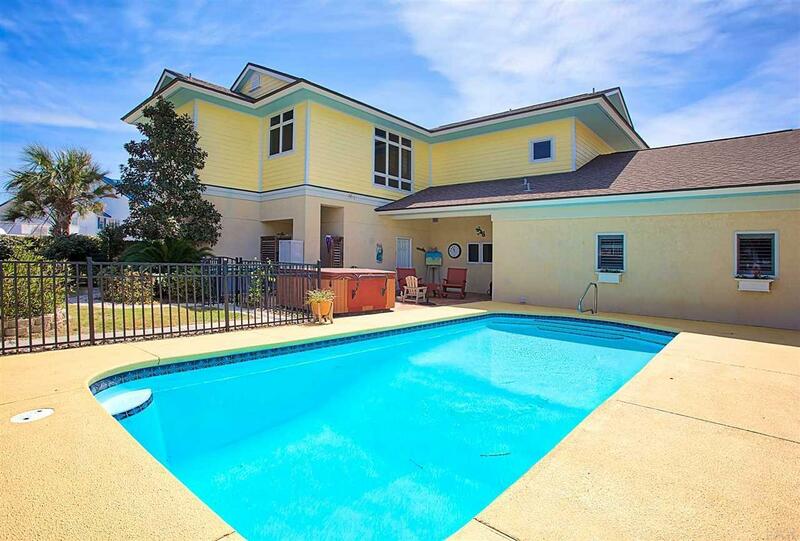 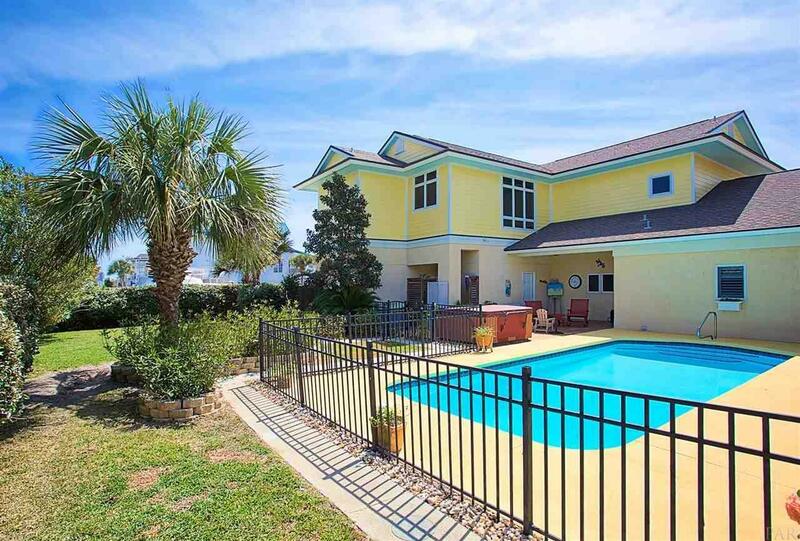 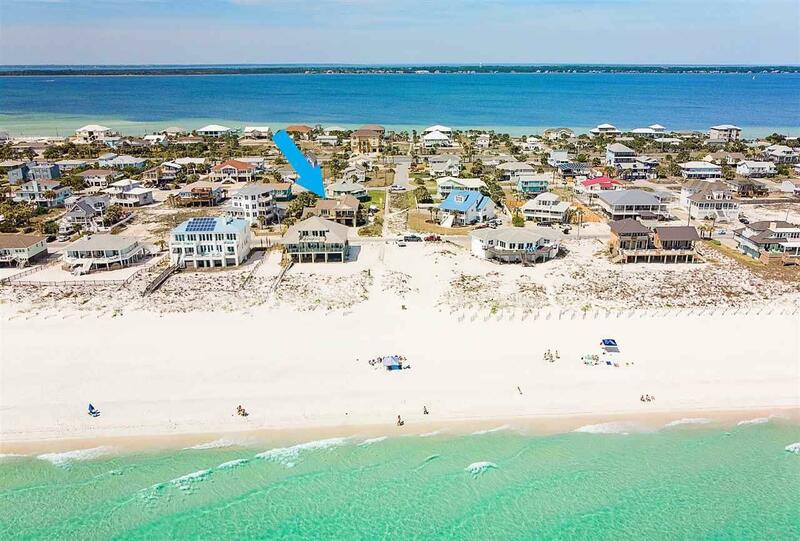 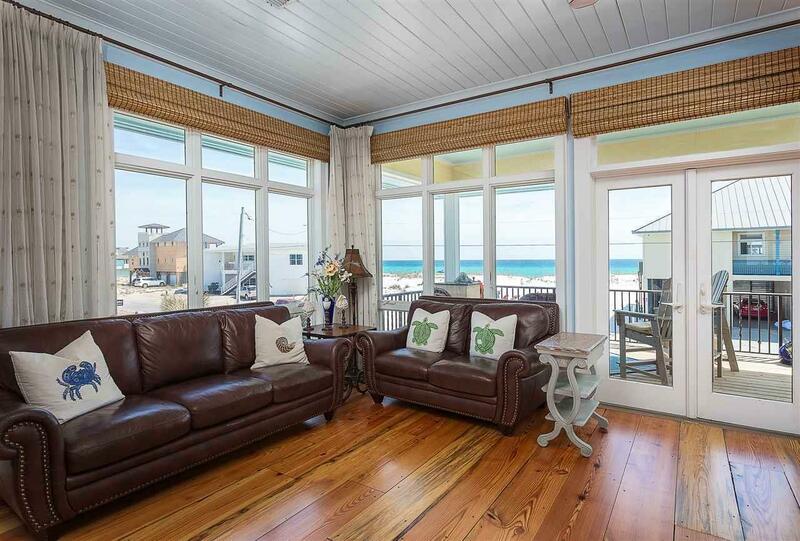 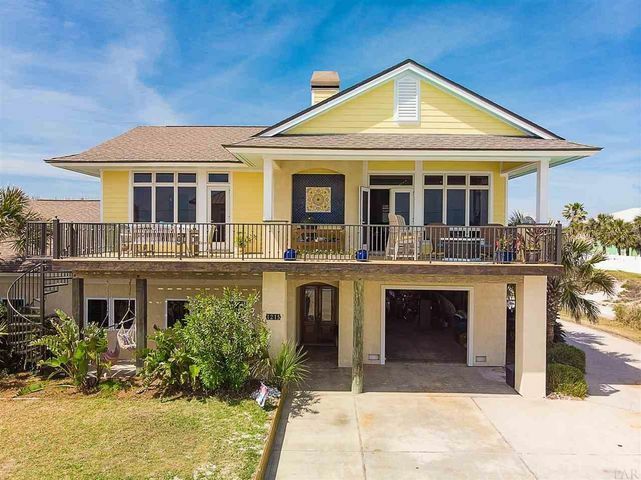 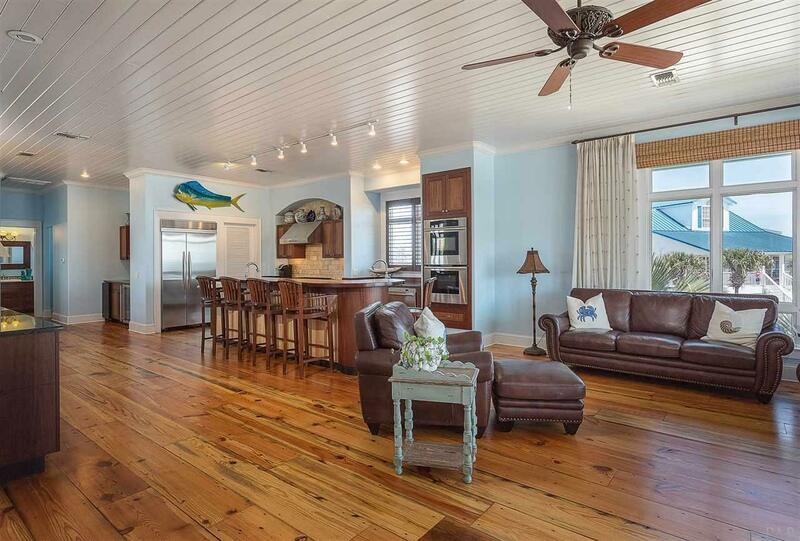 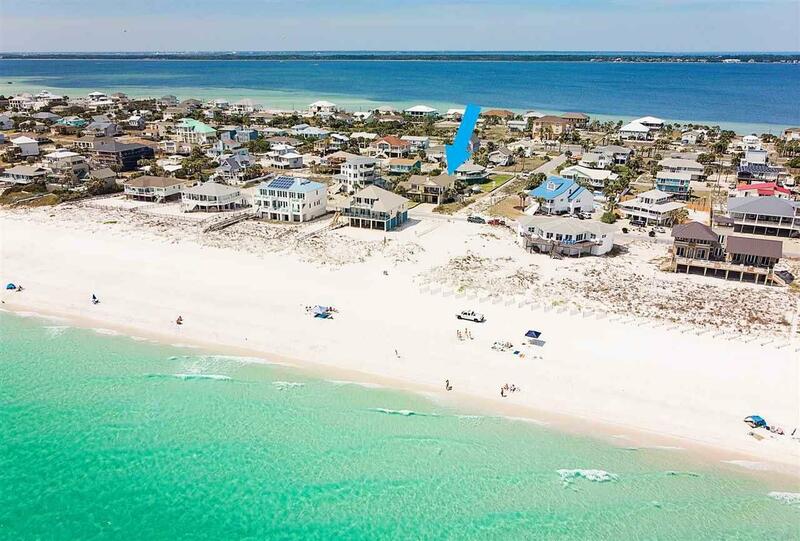 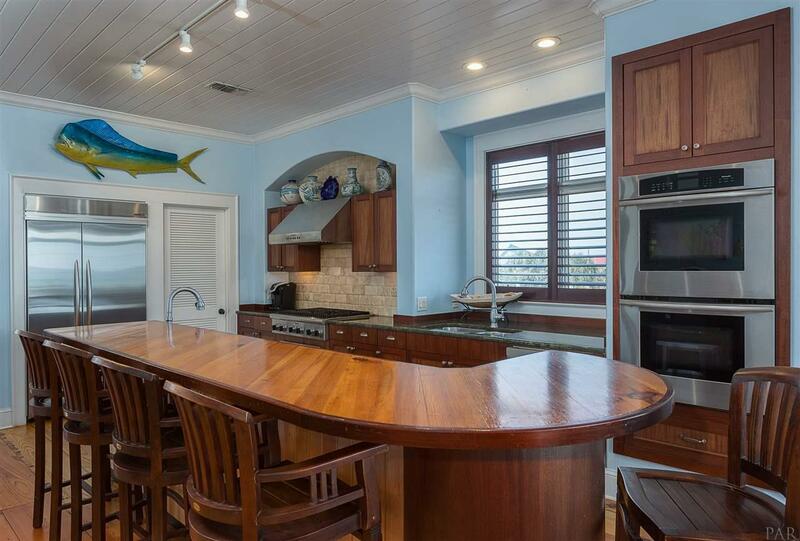 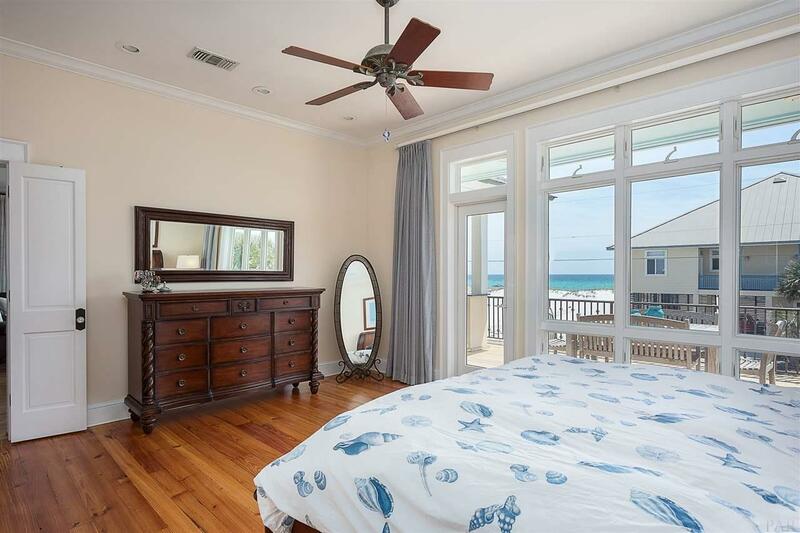 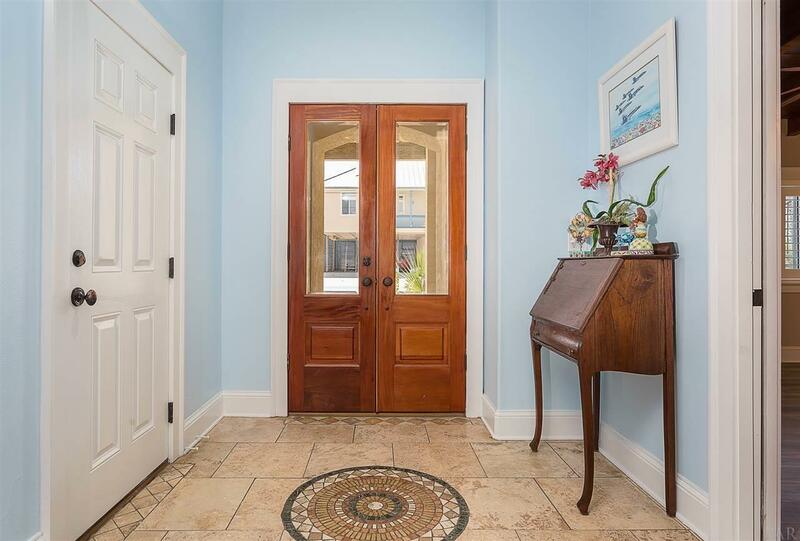 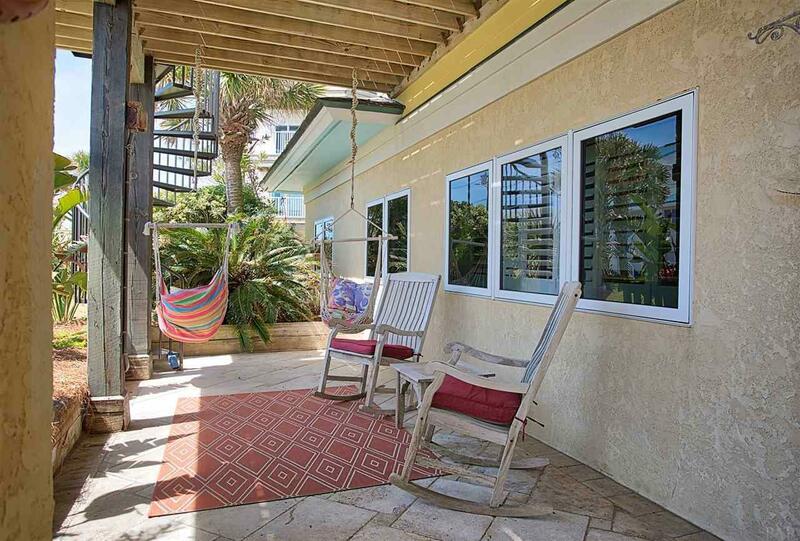 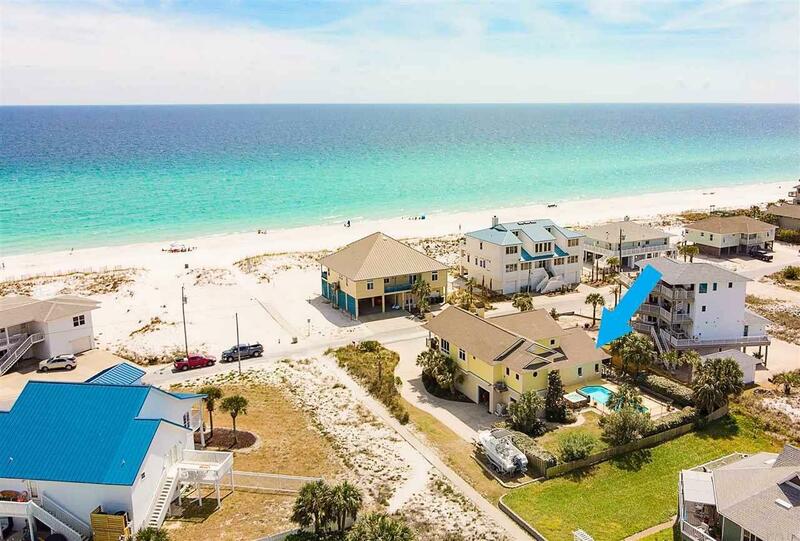 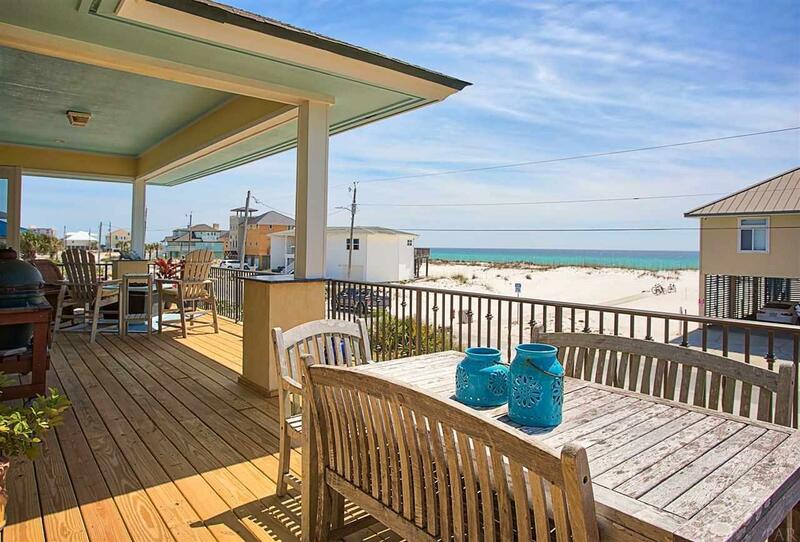 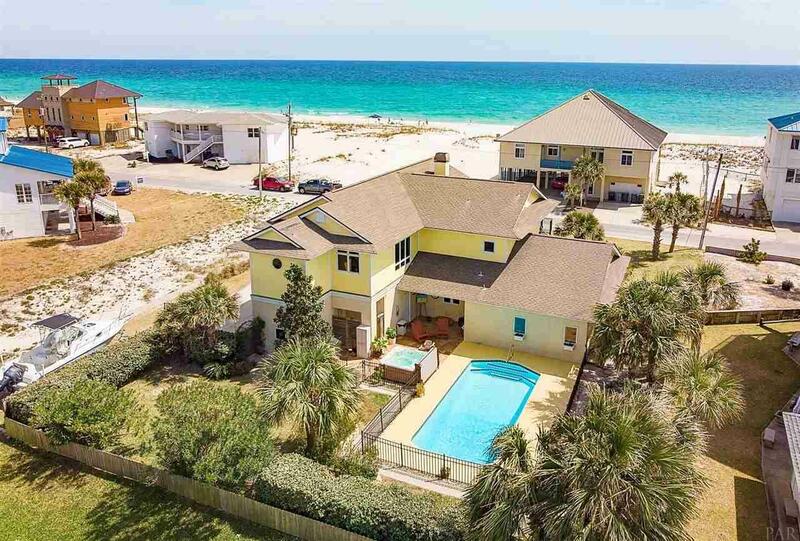 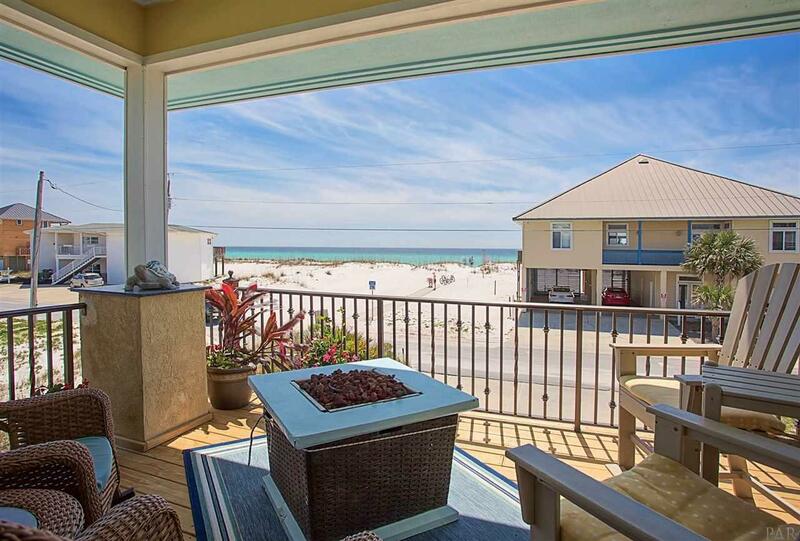 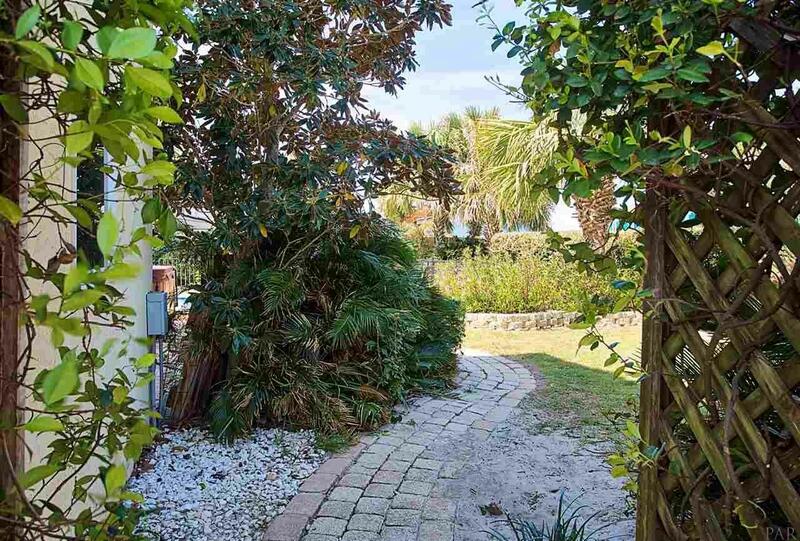 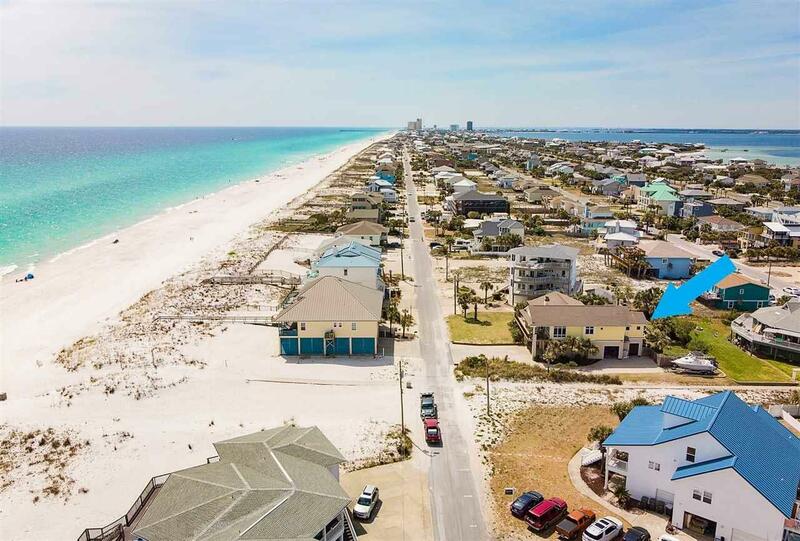 1215 Ariola Drive, Pensacola Beach, FL 32561 (MLS# 820089) - Real Estate Professionals of Destin, Inc. | Real Estate Professionals of NW FLA, Inc.
buffet with matching cabinets and granite top, extra large walk-in pantry with custom shelving and storage complete the dream. 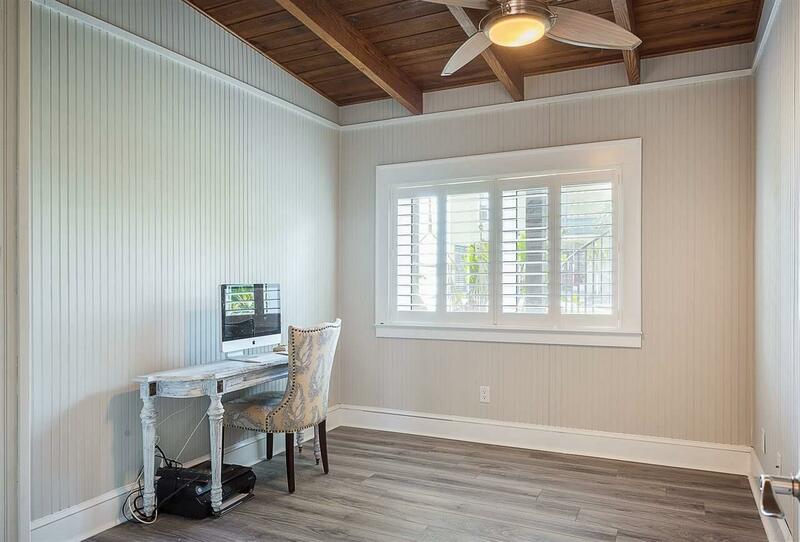 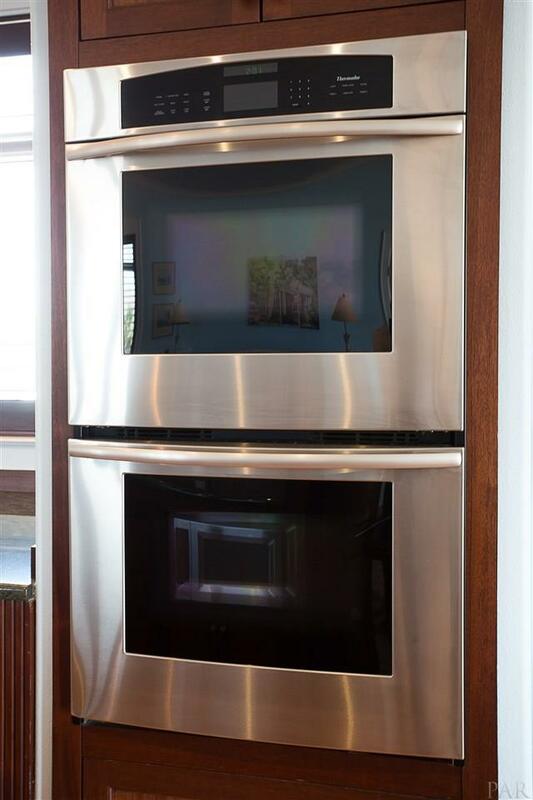 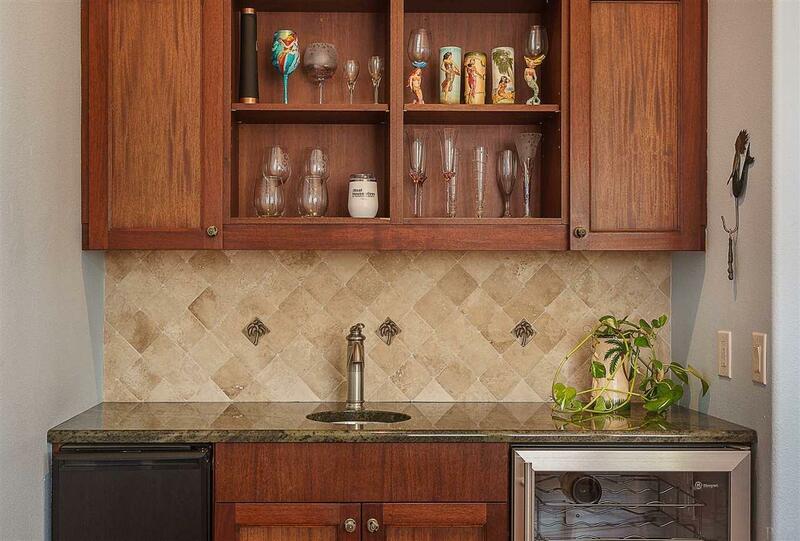 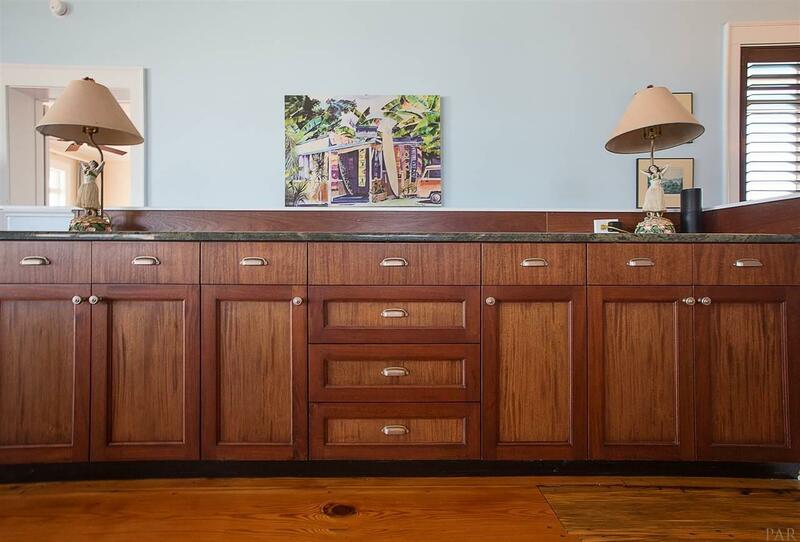 To one side, there's a dining area and a cozy little reading nook and to the other, matching Mahogany/Granite topped wet bar, complete with wine cooler and ice machine. 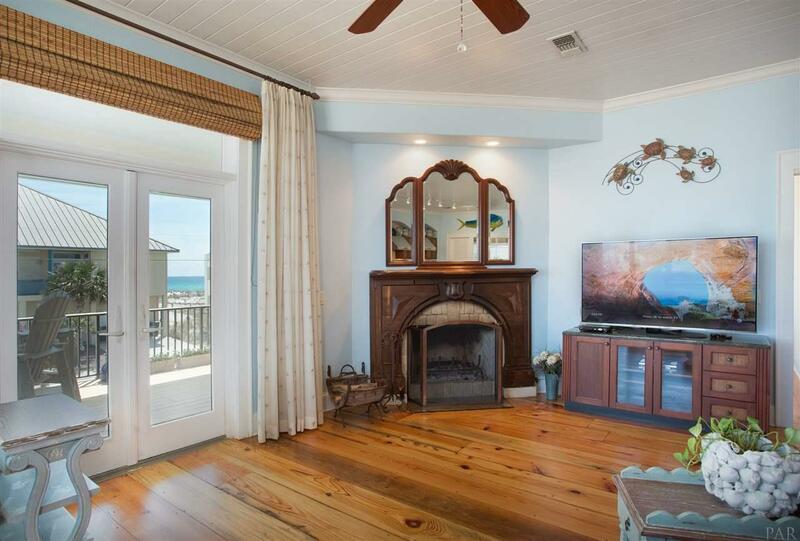 The living area continues the luxury with a wood burning fireplace framed in an antique mantle plus a built in entertainment console. 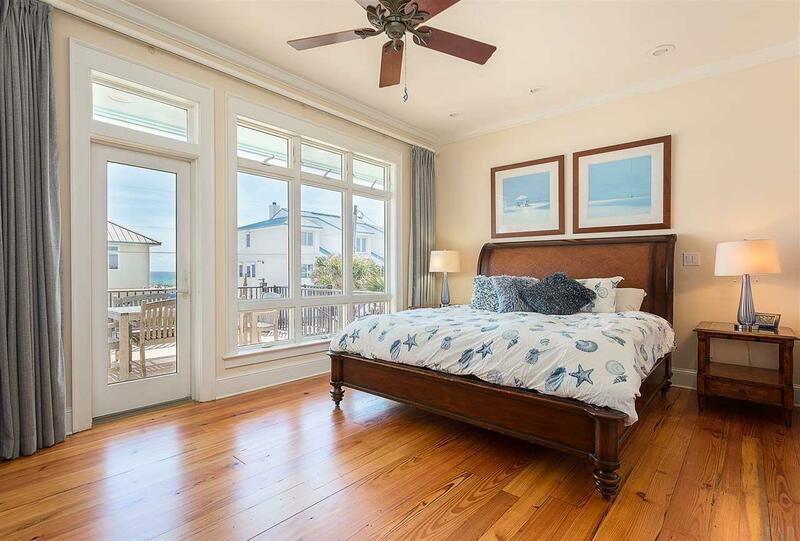 The large master suite has balcony access, to capture the morning sun. 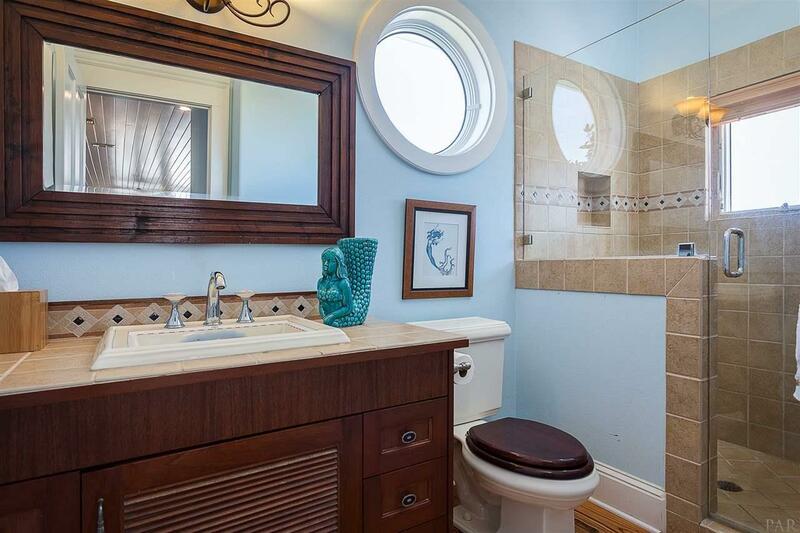 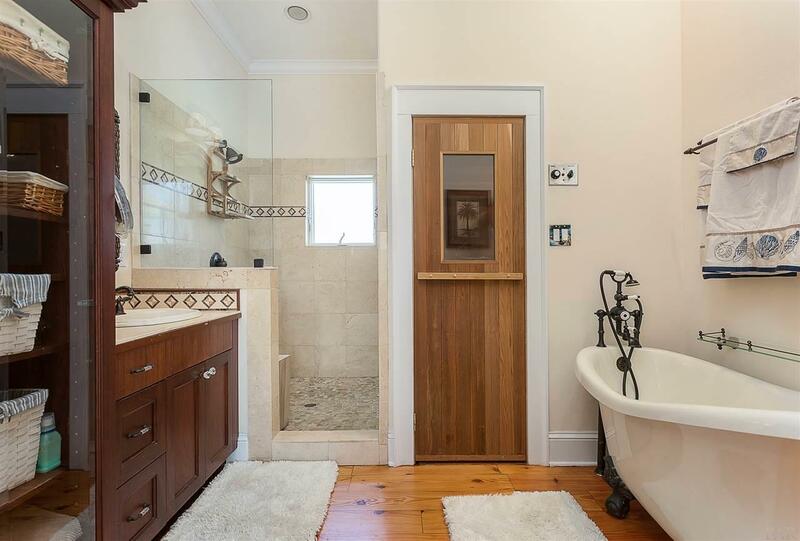 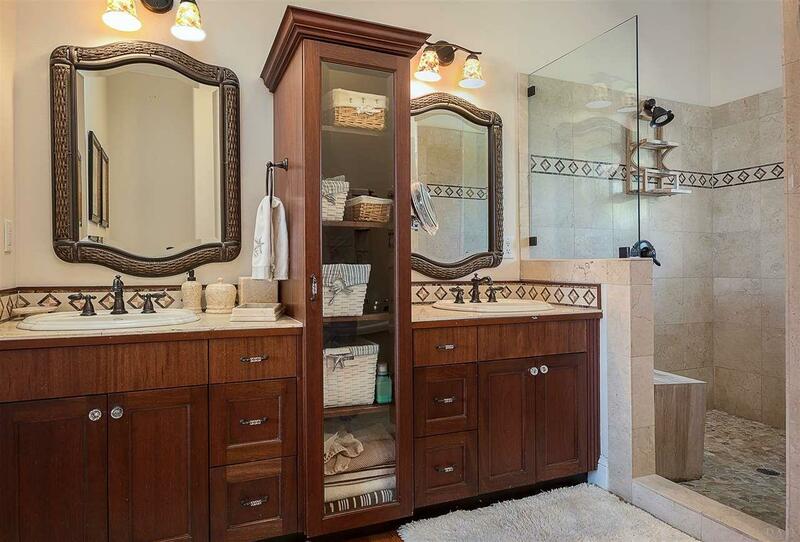 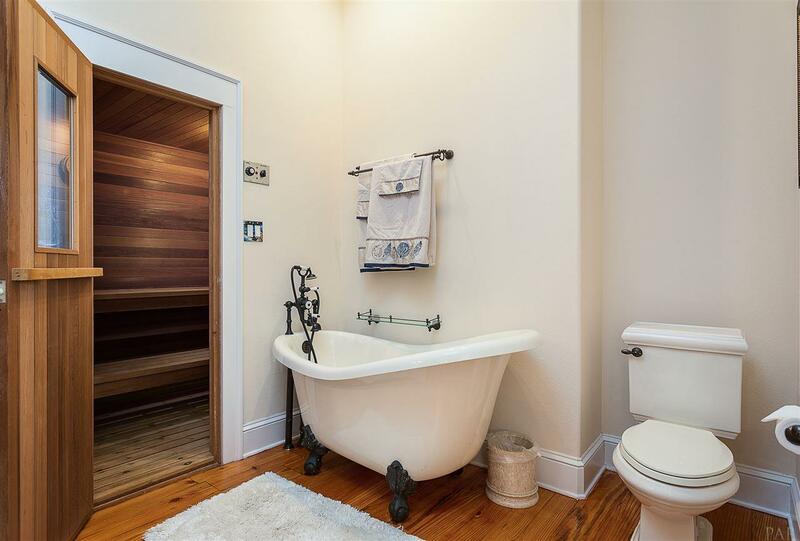 The master bath features a claw foot soaking tub, a dry sauna and large travertine shower, with river rock floor, custom mahogany his/hers vanities with travertine tops and tower storage. 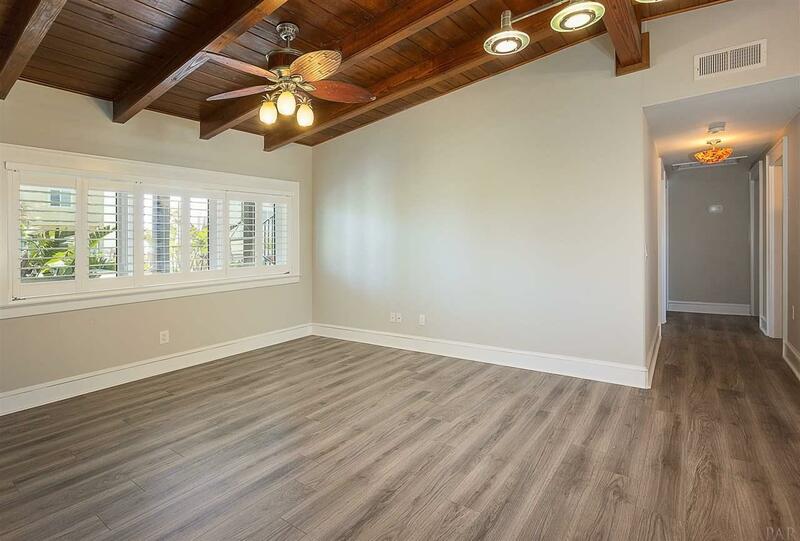 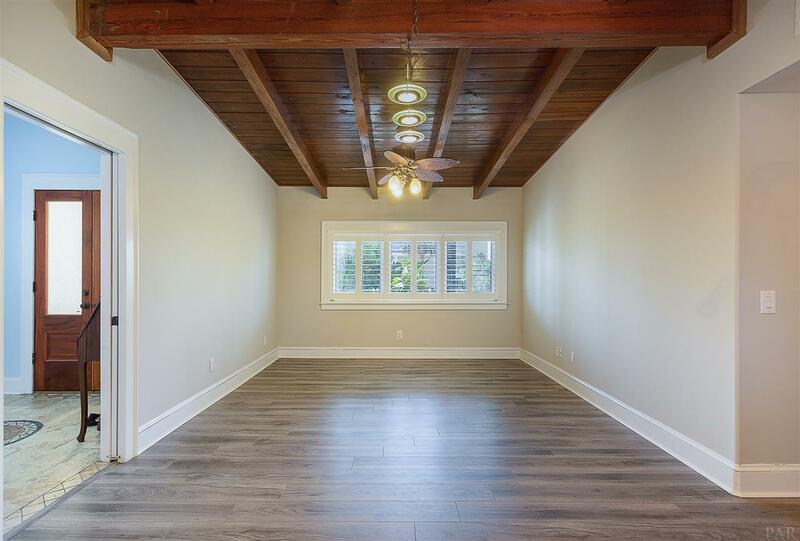 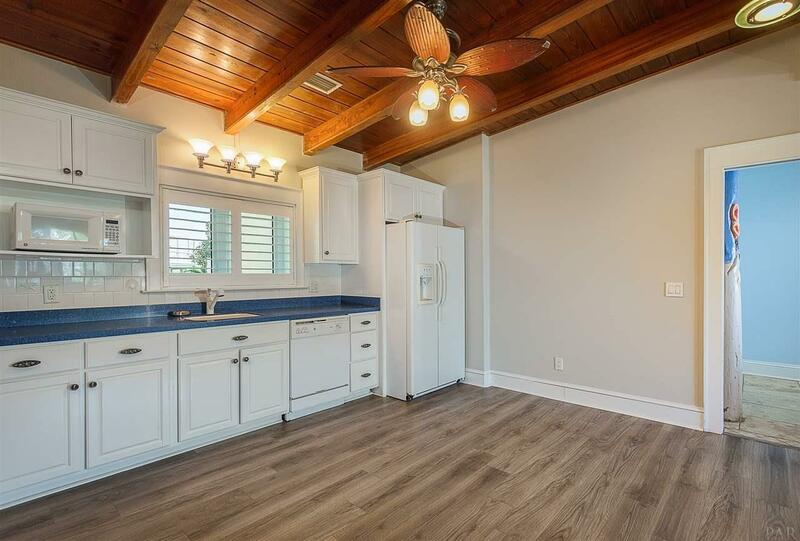 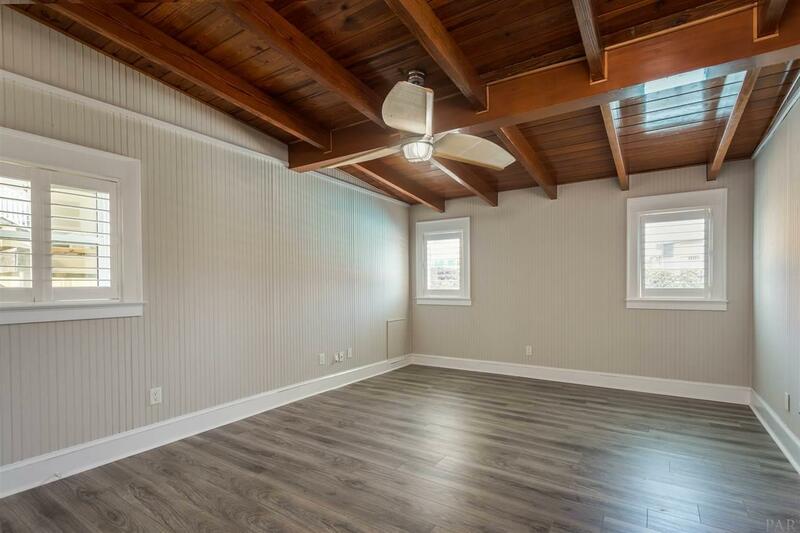 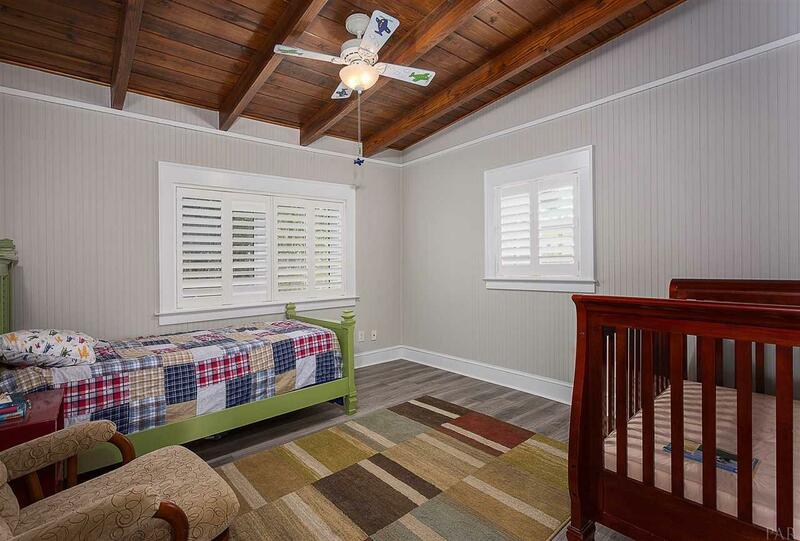 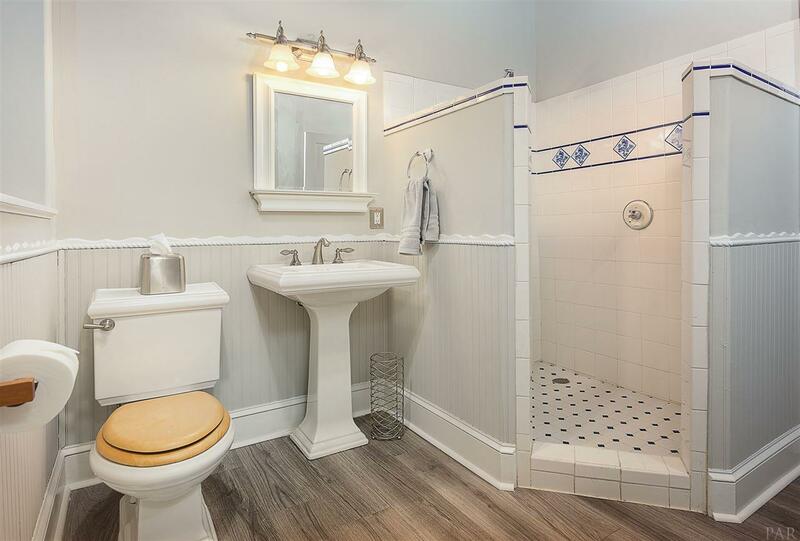 On the ground level you'll find an open family room/kitchenette, three bedrooms, luxury wood grain vinyl flooring, beam pine ceilings, and bathroom with laundry room. 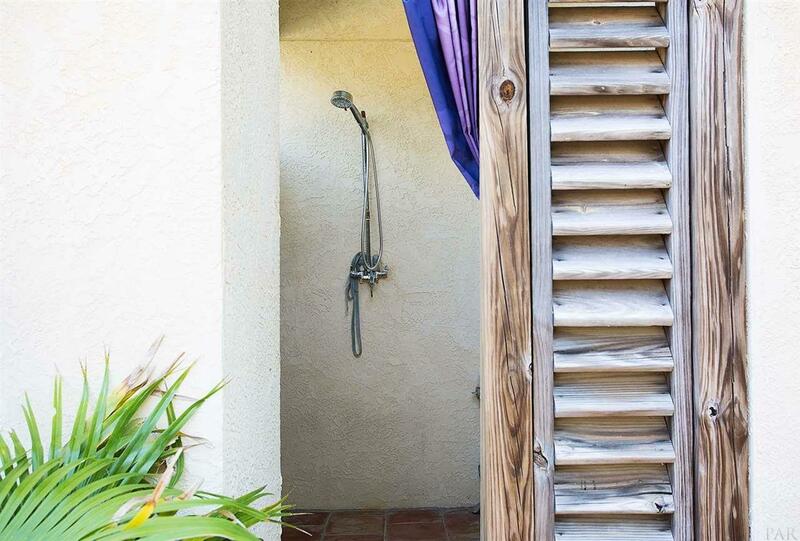 Walk out to the outdoor living and entertaining area, featuring fiberglass saltwater pool, private outdoor shower, Saltillo tile patio, fenced backyard full of greenery, offering privacy to your sunny oasis. 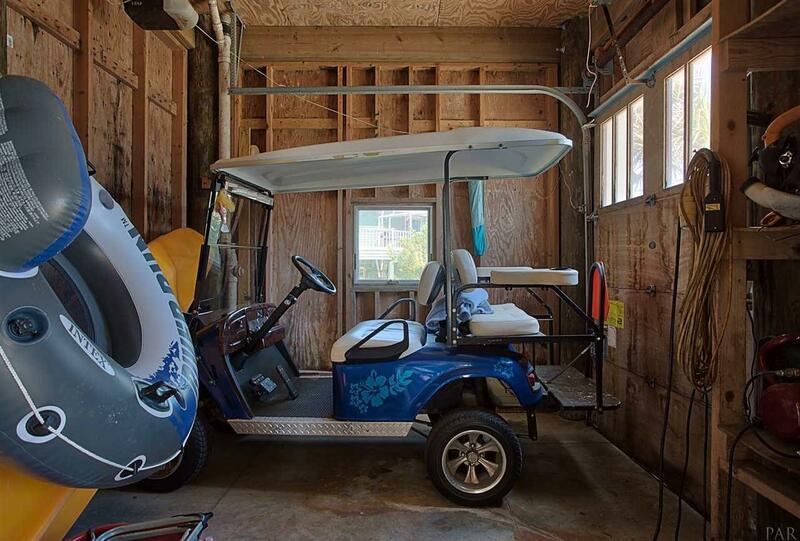 The deep 3-car garage with a separate golf cart entry/parking space has plenty of storage. 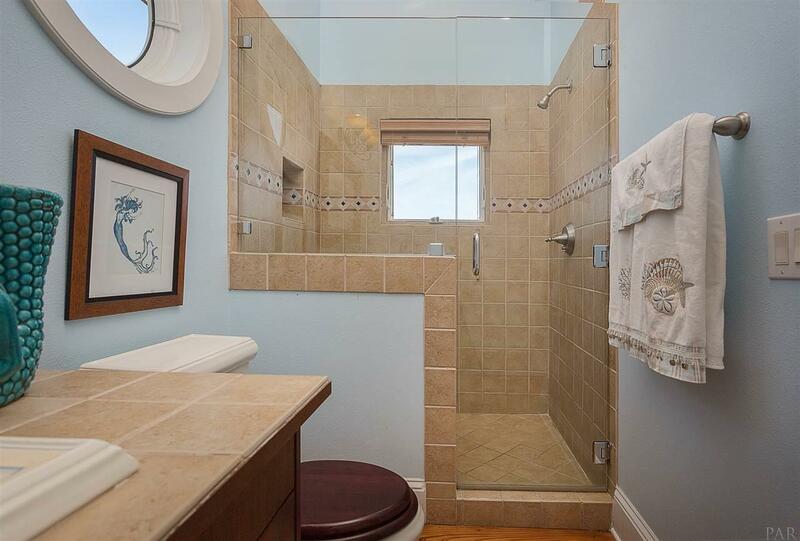 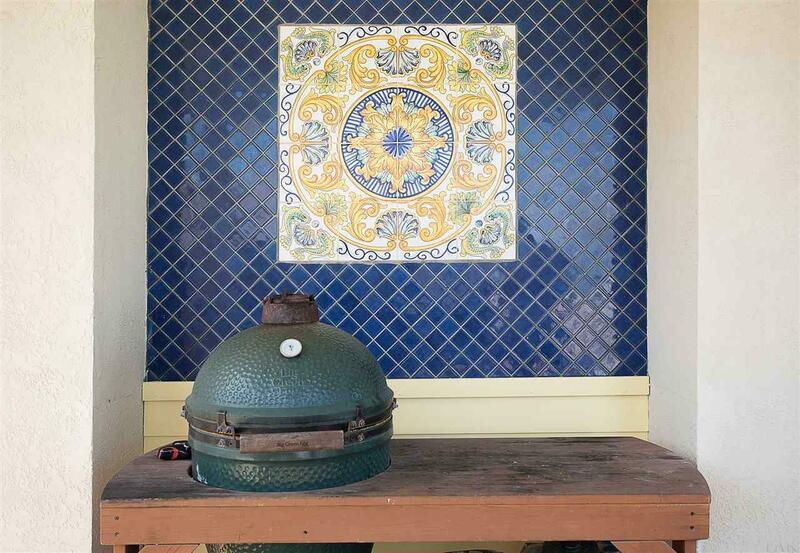 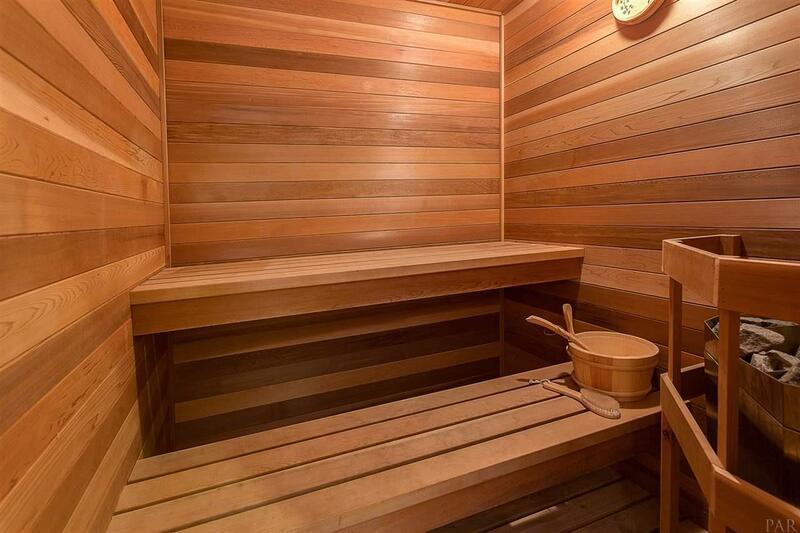 This home has great rental potential. 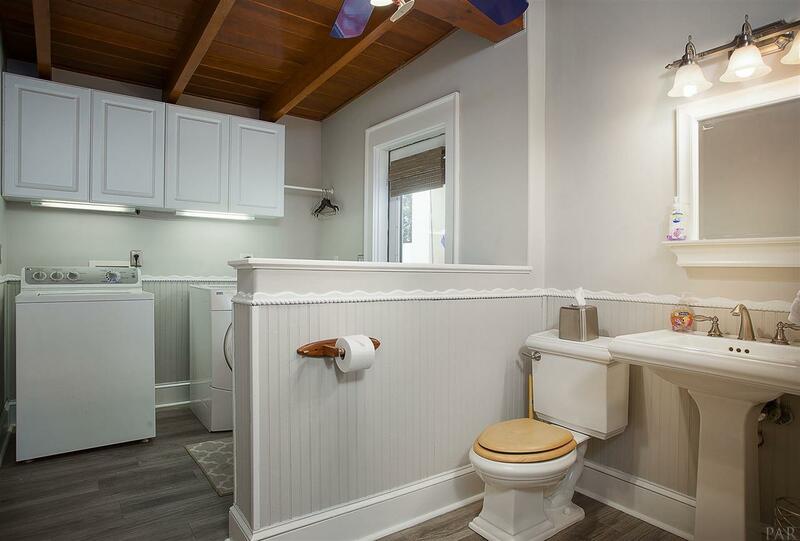 Buyer to verify all information including square footage.